Comparing images on a computer screen doesn’t really do much. Computer screens are 72dpi so no matter what size sensor you have the results will not be completely apparent. We need to see prints, large prints, to really see the difference. My thought process is to put a 70-200mm lens on a tripod and shoot both cameras on it leaving the lens pointing at the same subject. I will make several shots of different real world nature subjects. I will print images from each camera at full resolution without adjustments and compare the prints side by side. 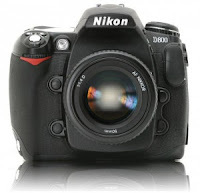 I’m not going to test the cameras for auto focus, follow focus, or any of the extra features they possess. All I want to know is image quality comparison and moire’ challenges. I will intentionally shoot some images that should produce moire’. I will be using Lightroom 4, Photoshop CS6 beta, and NX2’s moire’ removal tools and test which will be easiest to use and which does the best job. I will report on the results on this blog and other sites when I’m done, hopefully in a couple of weeks. Here’s the challenge. I can only keep one body according to my financial adviser (wife) so I will need to sell the one I don’t keep. It will be used only for the test and I’m looking to sell it for my purchase price. If you are interested, let me know. 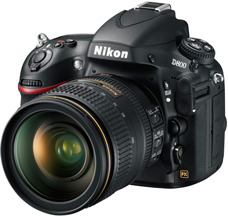 I already have 3 photographers on a wait list for the D800.